A funny HR policy of a Company that make you laugh. 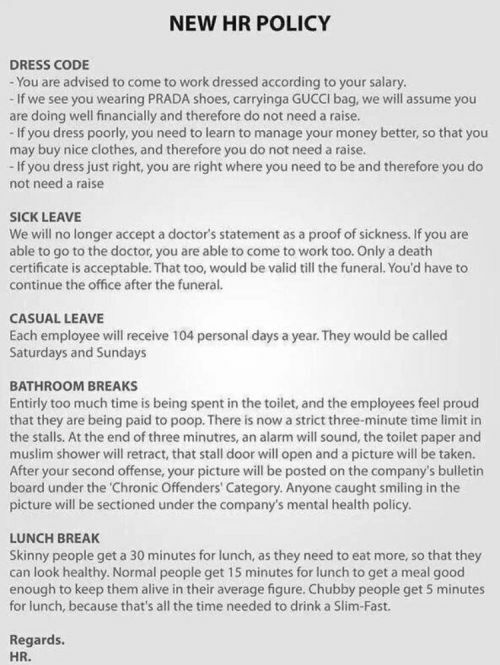 A funny HR policy of a Company on Dress code, Sick Leave, Casual Leave, Bathroom Breaks and Lunch Break. « Whether you married or loved a girl, end result is same. » Is Shopping a crime? Judge saying it depends.